Beautiful Fly - Any Ideas? My wife snapped this is one of our Roses - notice the distractive abdomen markings. Did a Google image search nothing - probably need to strip the BG off for a closer association. Re: Beautiful Fly - Any Ideas? Yes,that's what we thought Pam, stunning isn't it? That's a great photo, Colin. 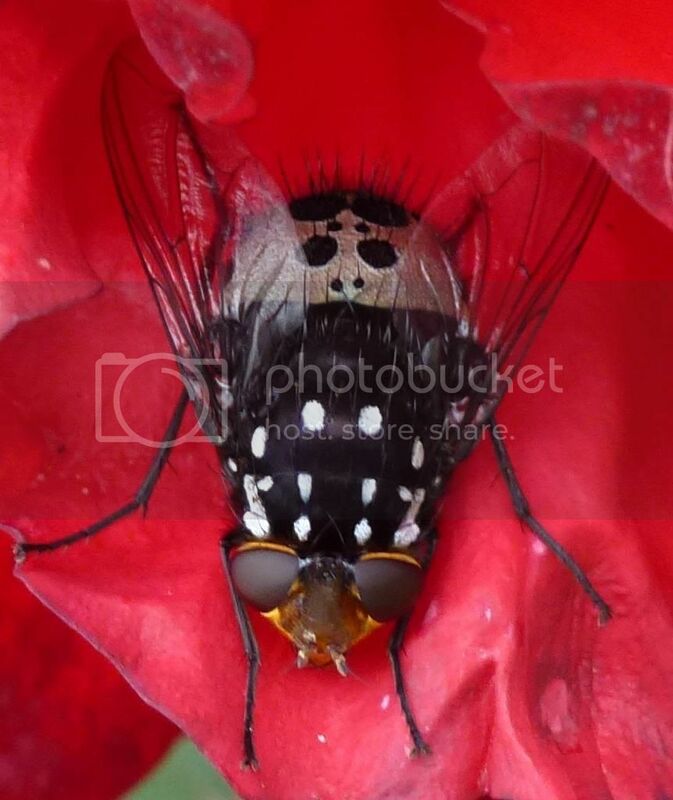 It looks rather like a bristle fly, though the markings are a little different. abwal wrote: That's a great photo, Colin. SPOT ON and well done - that's exactly what is is - just did a google image search and there are a variety of markings, some of which match the above perfectly. Thanks abwal! Amazing photo and amazing creature! MacMaples wrote: Amazing photo and amazing creature! thank you MacMaples - I agree! Don't think I have seen one before...very nice capture. Quenda wrote: Don't think I have seen one before...very nice capture. So pretty even if it is a fly. tam wrote: So pretty even if it is a fly.